Grow When You Want, Where You Want. We used real plant tissue test results to manufacture a fertilizer which contains an exact balance of nitrogen, phosphorus and potassium in relationship to the secondary nutrients sulphur (sulfate) magnesium and calcium required by blooming plants. When combined with the micronutrients found in the Heavy Harvest Micro, growers have an excellent method of blooming a wide variety of thriving plants during the end of their life cycle. Some of the natural ingredients in this product contain trace amounts of micronutrients but this should not be relied upon as a micronutrient source when feeding plants. Always make sure to add Heavy Harvest Micro with this fertilizer. 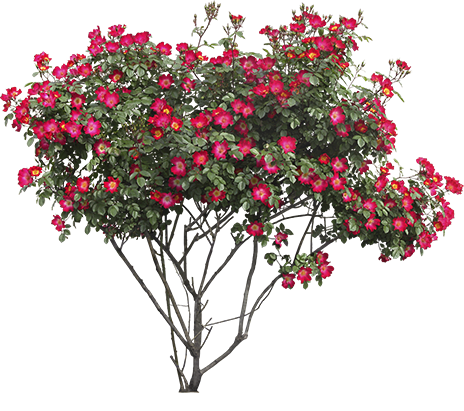 There are no plant growth regulators or stimulants in Bloom or Micro. 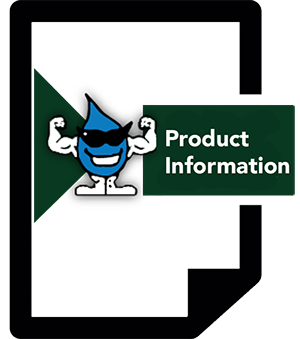 There are no buffering agents present in our fertilizer mixes so please pay attention to your pH and adjust accordingly using pH Up and pH Down products. 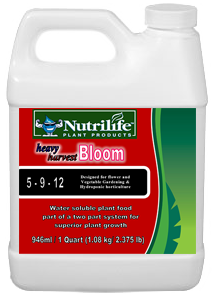 Please follow the appropriate Nutrilife Feed Schedule (Hydroponics, Soil and Peat) dosing. In general, add 5 mL of Heavy Harvest Bloom plus 5 mL of Heavy Harvest Micro per 1,000 mL (1 litre) of drinking water before feeding to your plants.